Beautiful county subdivision, ideally located near 331. Approximately 20 miles from Warsaw, Plymouth or Rochester. Mature trees allow for natural beauty. This subdivision offers two ponds for enjoyment of fishing and swimming. 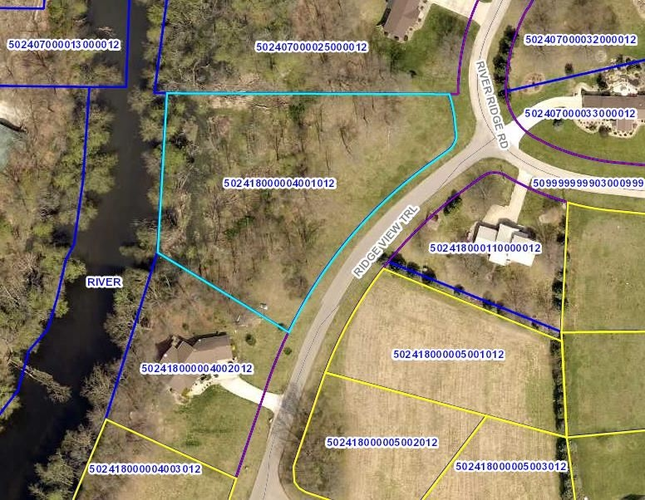 Lot #44 has a view of the Tippecanoe River, suitable for a walk out basement where you could enjoy overlooking the water. Building a home in this subdivision will ensure the enjoyment of local wildlife, including red fox, deer and bald eagles to name a few. Buyer to satisfy building needs prior to closing. Lots sizes per county records. Directions:SR 331 to 17B Rd. turn east. Take a left onto Ridge View Tr. following that to lot #44. Watch for signs.